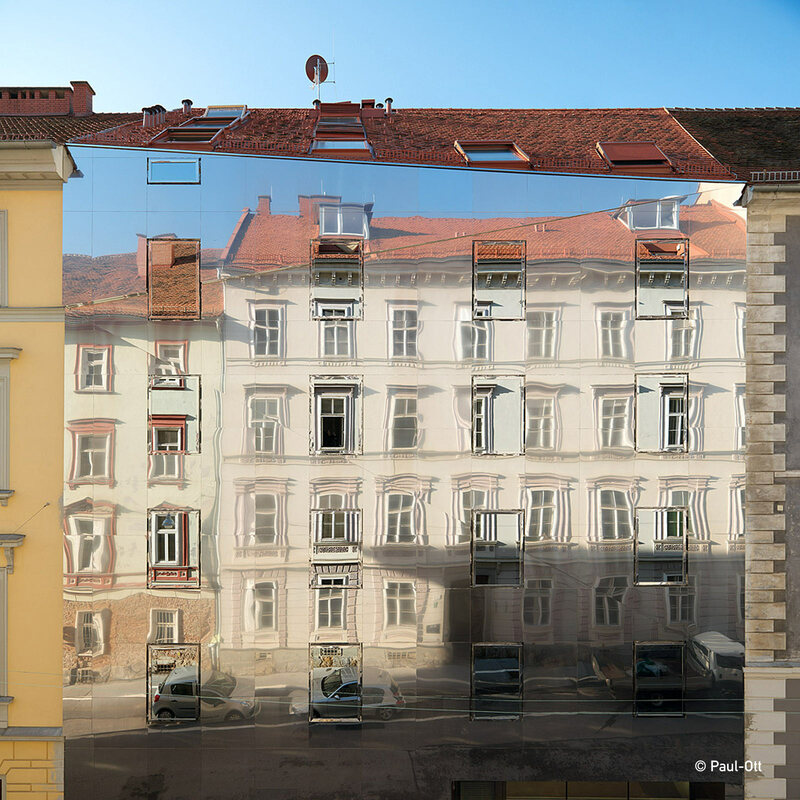 The residential building ‘Stadthaus Ballhausgasse’ fills a long-time void on a street in the UNESCO world heritage listed historic city center of Graz, Austria. 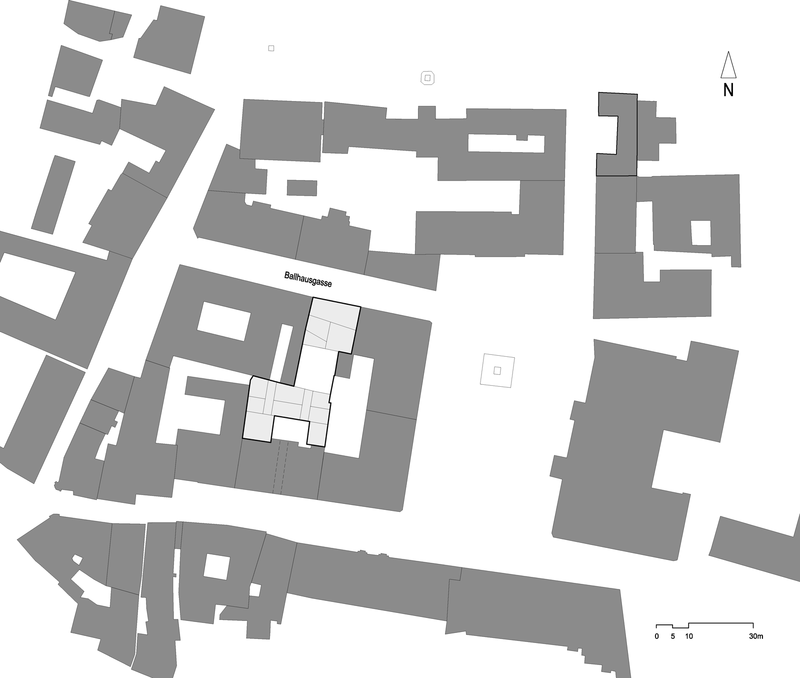 This void was the only vacant site in a continuous, homogenous and unbroken row of houses built in the Wilhelminian era. 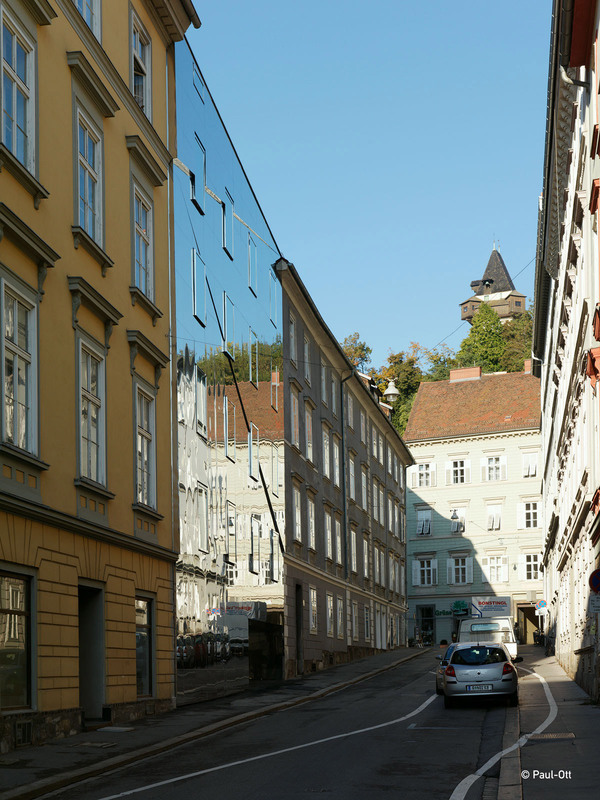 The new building had to meet the very high demands for integration in the historic context made by the heritage protection guidelines. 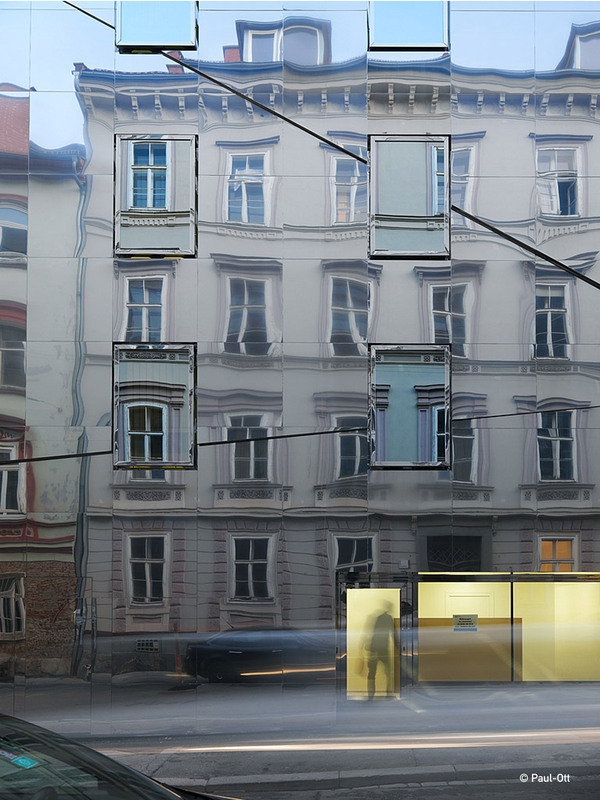 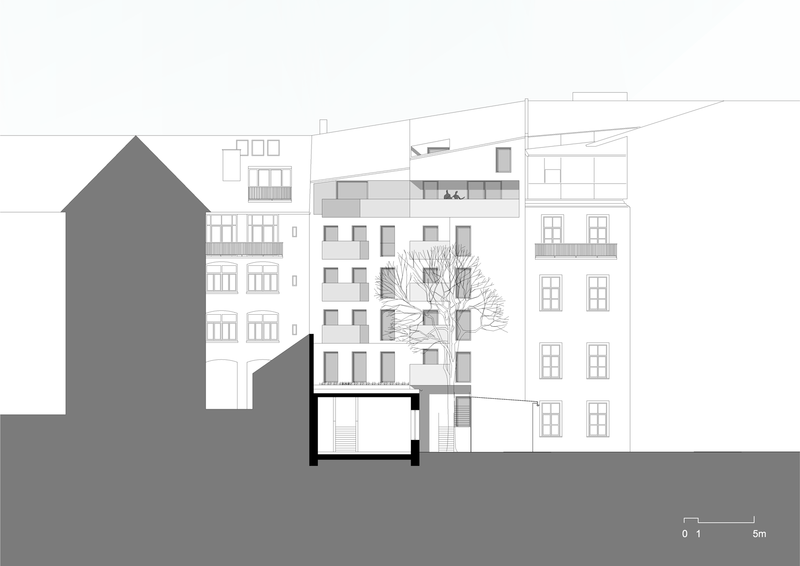 Formally the street elevation interprets the design principles of the mid-19th-century using a contemporary language. 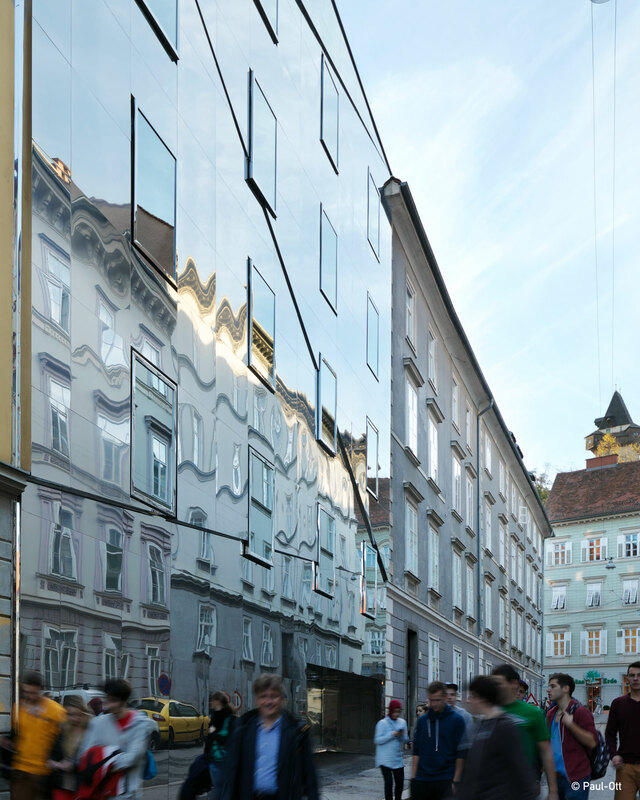 The characteristic plasticity, created by a game of light and shadow on the cornices, protruding windows and surrounding frames, as well as their arrangement, is achieved by the absorption and continuation of these elements in the mirror-effect façade. 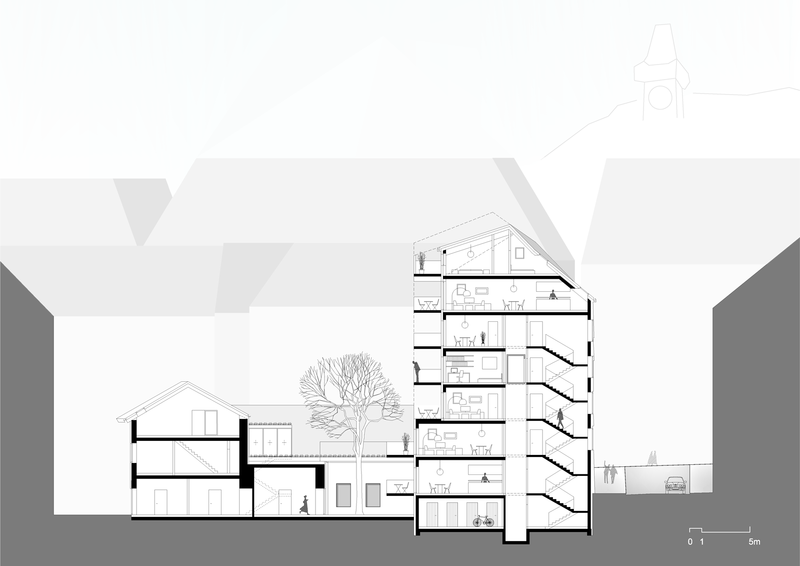 A three-dimensional appearance, in the form of slightly inclined triangular planes, emerges and links the different ledge heights of the neighboring buildings. 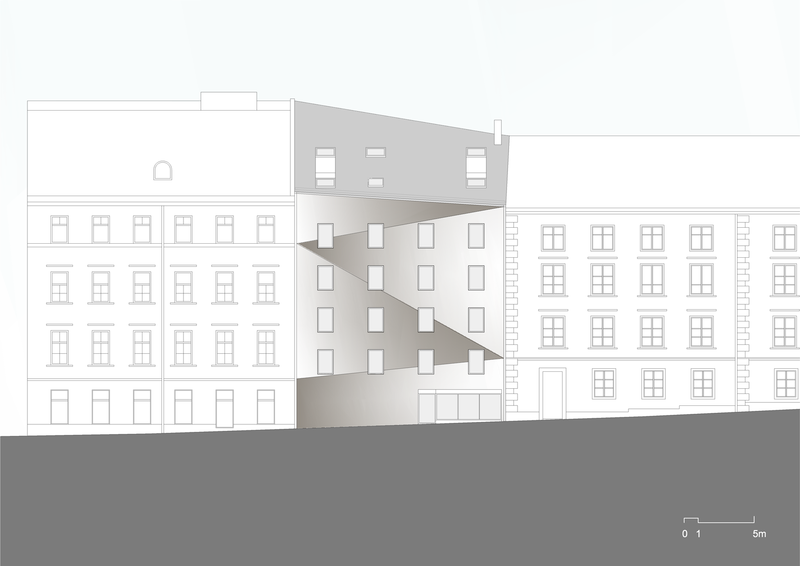 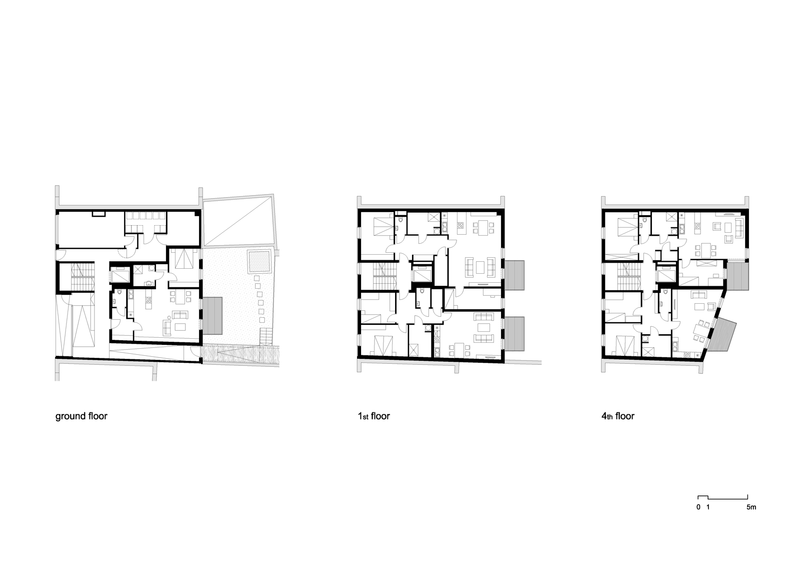 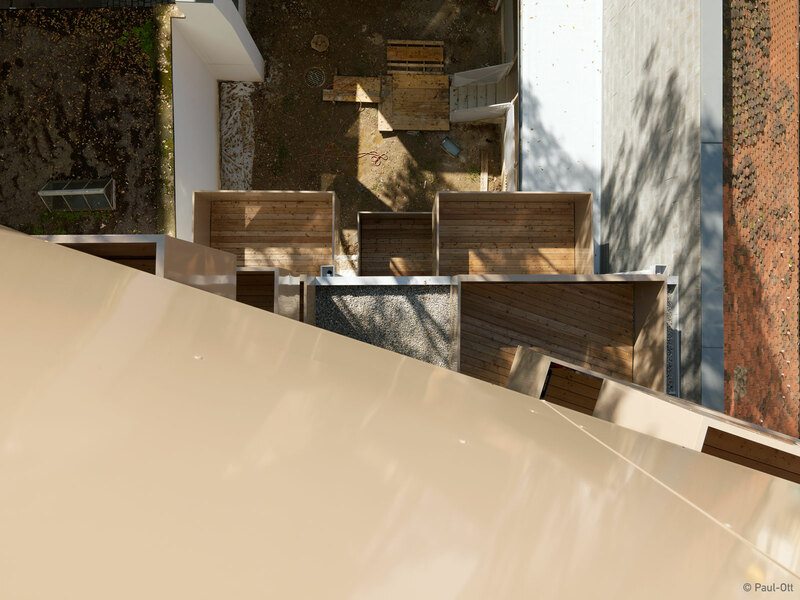 The result is a differentiated interaction between the historic vis-à-vis and the new building on several levels, which reveals new details from different perspectives. 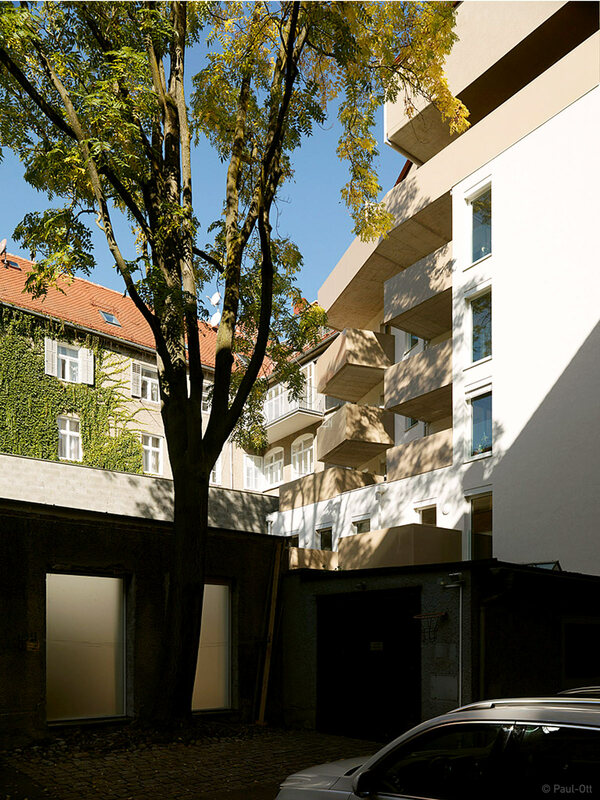 As a representative view, the street facades complex design and higher expenditure on materials contrasts with the unadorned courtyard walls. 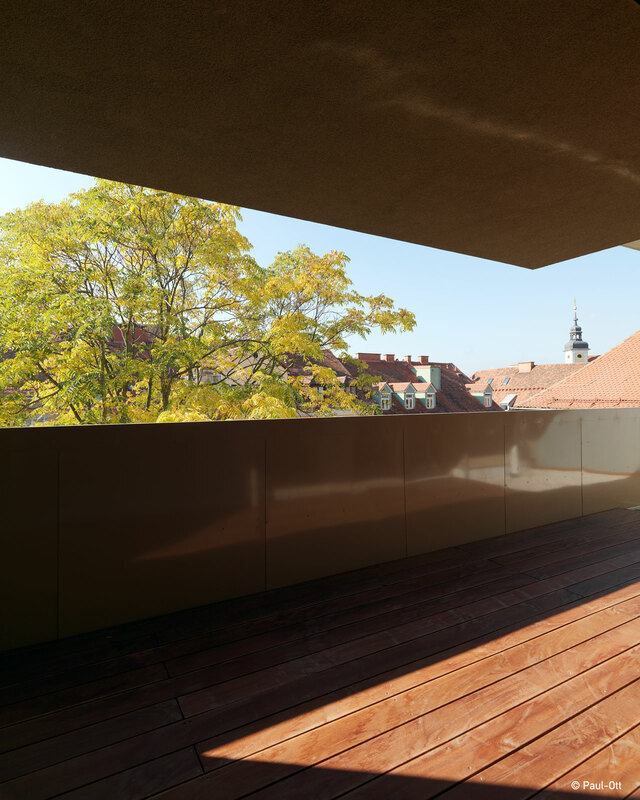 We wanted to understand context and integration not only as a question of formal aspects – architecture is a mirror of politic, social and economic conditions. 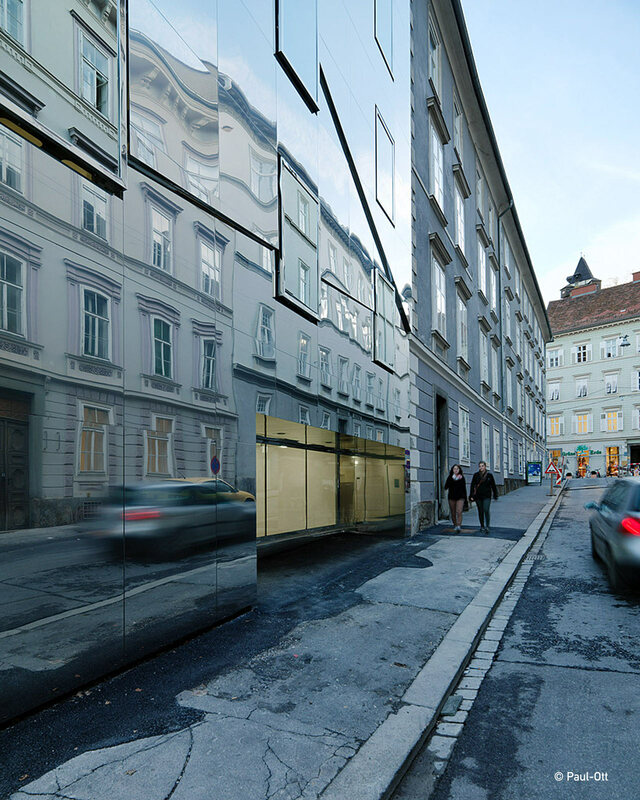 The structure explores a game of integration and mere imitation, using mirror-finished, high-gloss polished stainless steel — a high-quality component that has a subtle life of its own, as it is not as perfectly smooth and hard as glass. 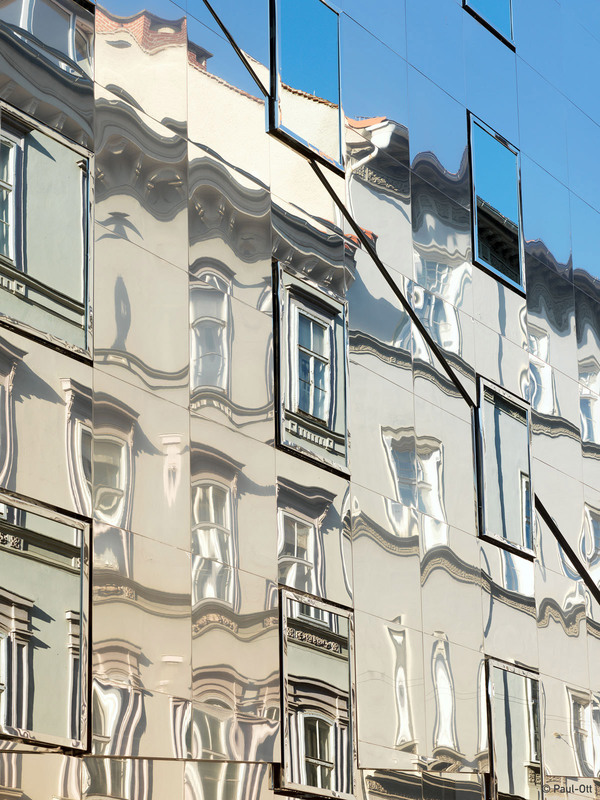 Through its properties, the collection of panels reflect the representative neorenaissance façades, which appears refracted and distorted as in a kaleidoscope. 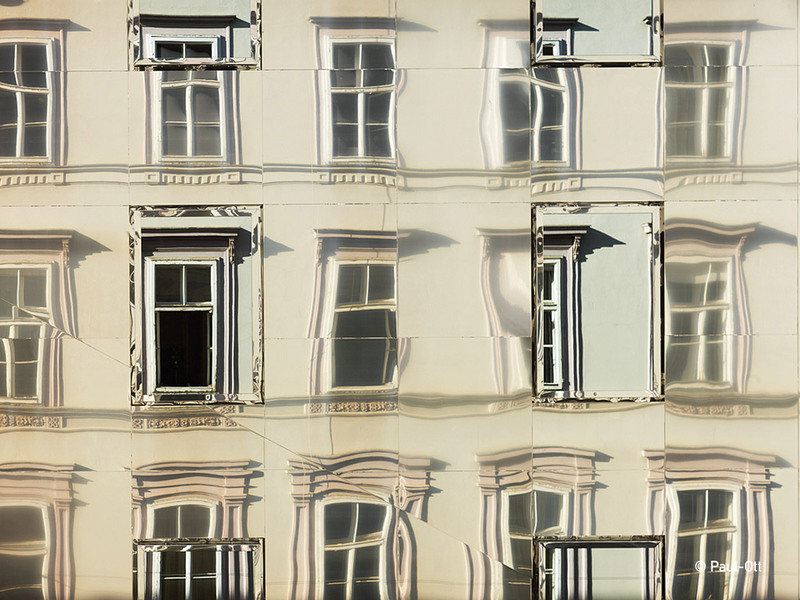 In the same way our today’s urban society can be seen as a refraction and distortion of the economic liberal bourgeoisie of the 19th century. 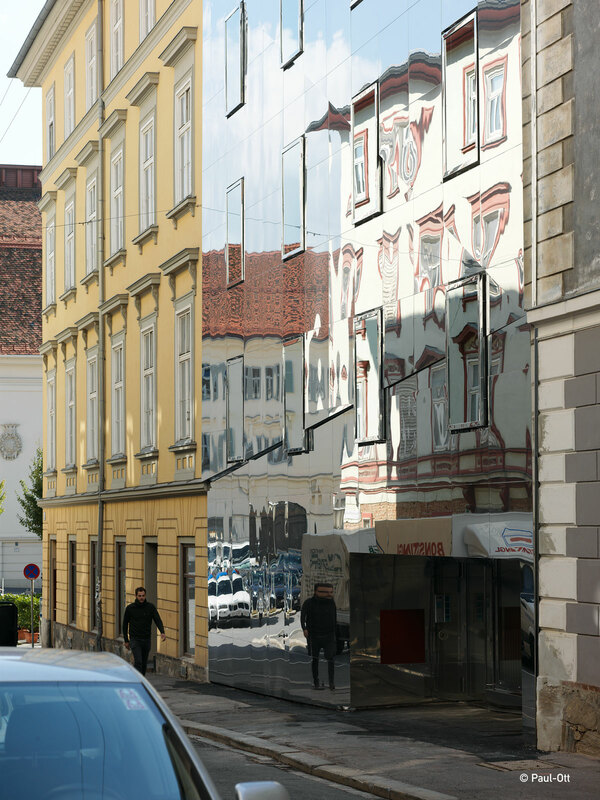 The new building has the paradoxical effect of having both a strong presence and absence via dematerialization.